Realize Double-End Moutning, facilitate mount and dismount. 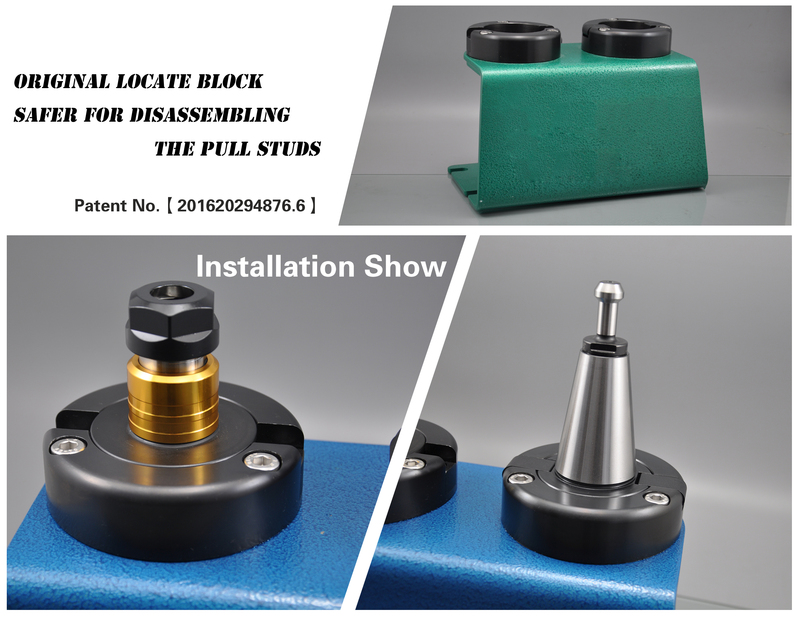 Modener deisgn, protect conical surface of tool holder. 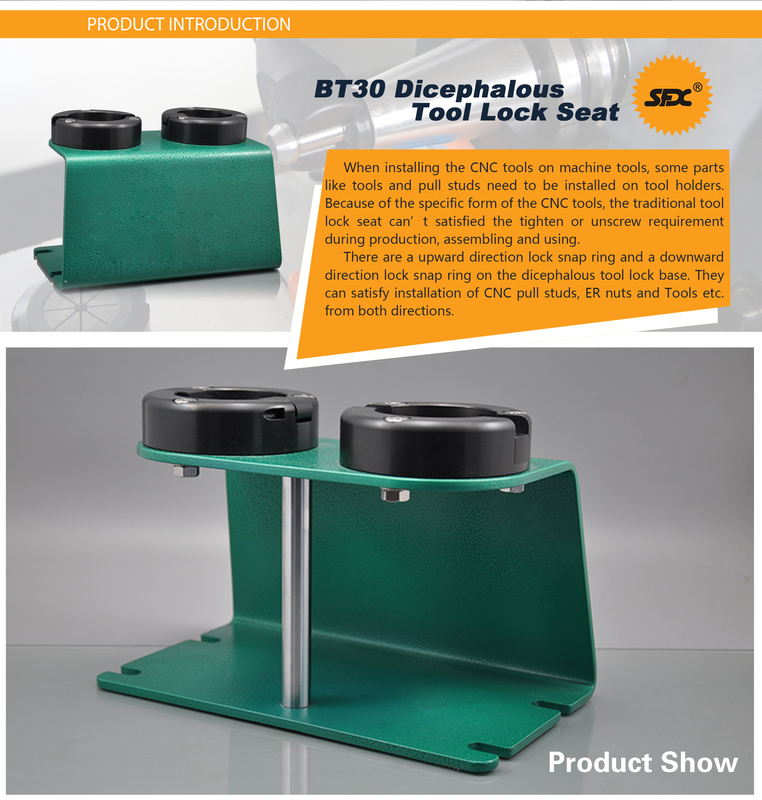 Sliding lock positioning design, correct orientation and non-skid. Adopt new material, detailed and comprehensive protection. Material of tightening fixture: aluminum alloy, alloy steel composite. 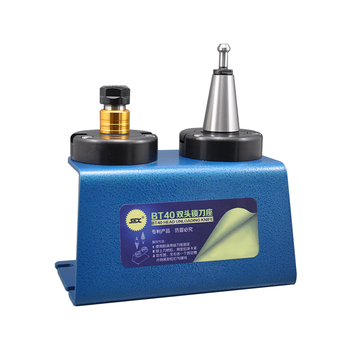 It is more convenient and reliable compared with the traditional needle roller install. No damage to the tool holder, could bear greater torque, avoid skidding. 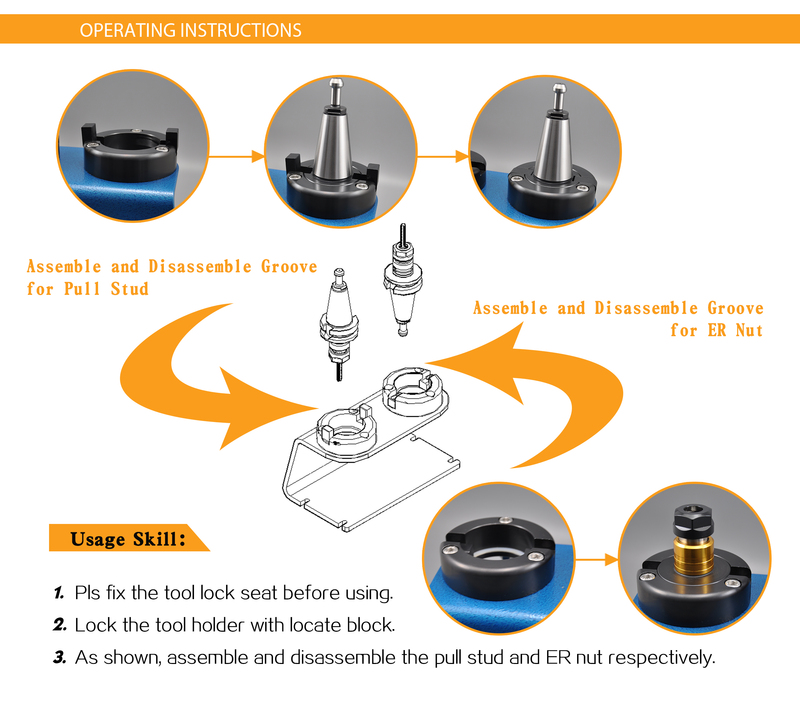 Easy to install,reliable, Protect tool holder, Could bear greater torque, avoid skidding. 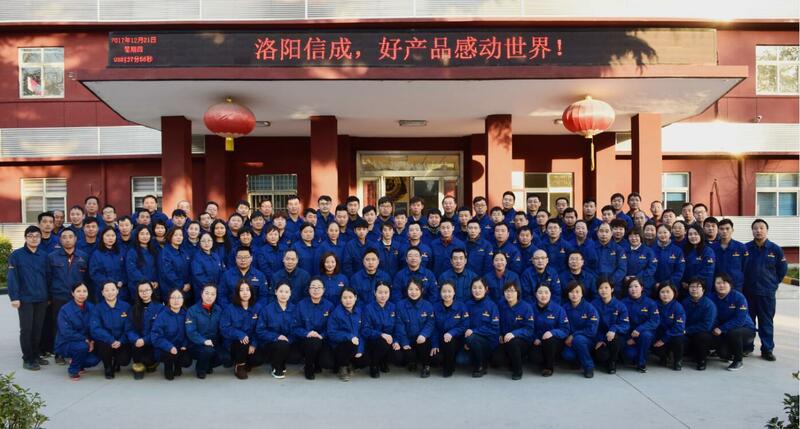 Strict production & inspection process.